Darren Studied at Preston College where he gained a level 3 health and social care diploma, NFCE in substance misuse and a qualification in mental health awareness. Darren also has a level 3 substance misuse practitioners award. 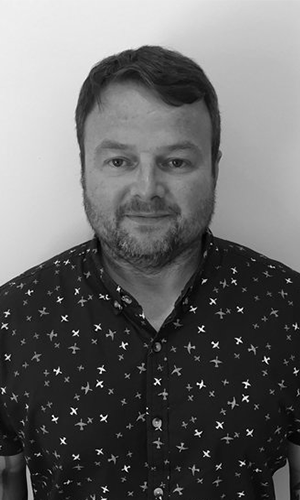 Darren began at Addaction where he worked with various clients and their families but he specialised in helping veterans who had issues with substance misuse, as Darren himself is a veteran and served in the Royal Engineers. Darren helped the veterans group to gain funding from numerous sources which then enabled them to take the veterans on various activities including holidays and educational courses and Darren also helped the group win an award which was nationally recognised. One of the many roles that Darren performs as part of the Acquiesce team is to welcome residents when they first enter treatment and Darren has the ability to make clients feel at ease and to support them through their most vulnerable time on the beginning of their journey to recovery. Darren delivers the morning grounding sessions and also short sessions. Another role of Darren’s is to take clients on activities were he actively gets involved and he ensures that the residents get the best experience out of them and also their time at Acquiesce. Darren is committed to encouraging residents in achieving their goal and is passionate about the resident’s and their future recovery and once residents complete their treatment Darren contacts the ex-residents on a regular basis to catch up with them and to find how their recovery is shaping. Darren likes to spend his free time with his family but has a passion for going to the gym and also outdoors activities like walking, which he regularly does. Darren has completed a wide variety of the walks around the UK including Mount Snowden, Scar fell pike and his latest walk was Ben Nevis.